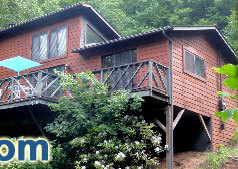 Take in gorgeous views of the Great Smoky Mountains. 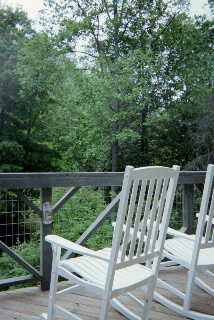 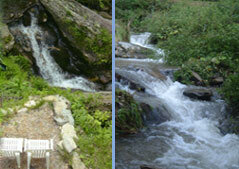 Chairs on the deck overlook the creek below. 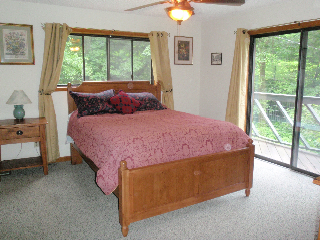 The master bedroom has access to the deck and a view of the falls. 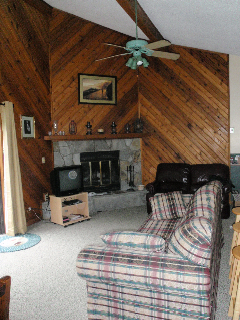 Enjoy a fire in the fireplace. 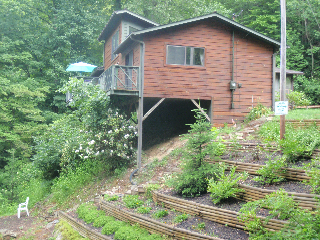 Enjoy meals on the deck, or stroll down the steps to the creek. 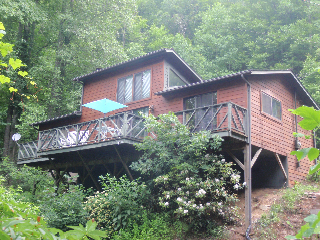 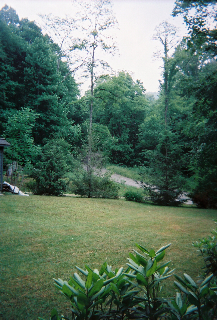 The cabin is nestled in the mountains of North Carolina. 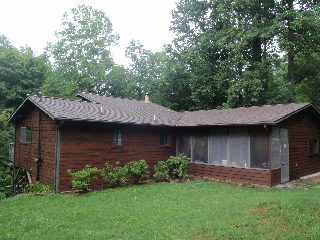 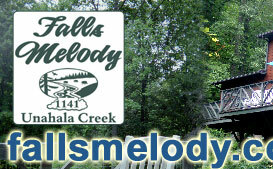 The Falls Melody cabin. 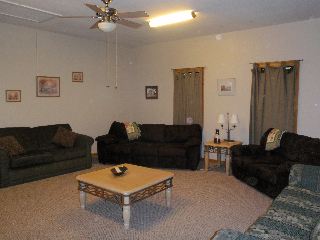 A spacious and inviting living room. 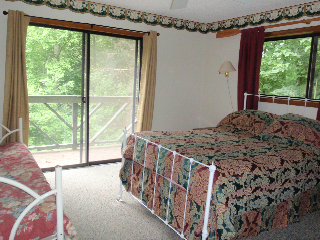 The guest bedroom has access to the deck and a view of the waterfalls.